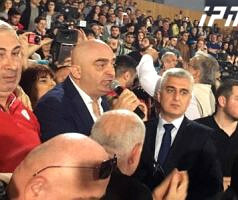 TBILISI, DFWatch–A public meeting in Tbilisi on Monday to discuss a set of constitutional amendments was interrupted by two different groups of protesters. The head of the organizing committee now says they will extend the hearing process with a number of extra meetings in the capital and around the country. 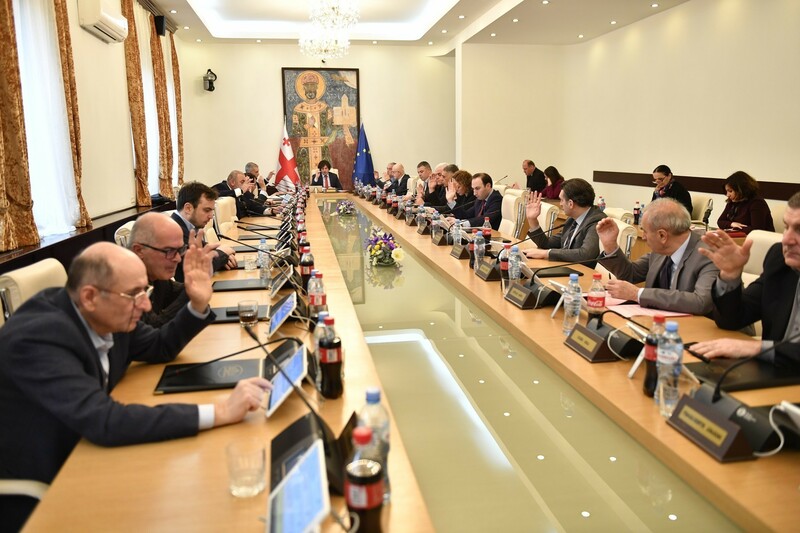 The meeting in Tbilisi’s philharmonic concert hall was supposed to be the last in a tour of public hearings that has sought to involve the public in the new constitution proposed by the ruling party, Georgian Dream. But unlike the previous meetings, which passed without incident, the meeting on Monday was interrupted soon after it started by two different activist groups who burst into the hall booing and shouting slogans at the commission. 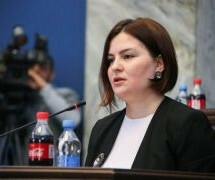 Kobakhidze, the moderator, then announced that the meeting was adjourned. 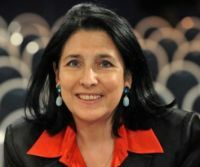 One of two groups consisted of young leftist activists, including student movement Auditorium 115 and Trade Union members. They demanded more guarantees for workplace safety and labor rights. Their protest was triggered by a tragic accident at Tkibuli coal mine, when after the failure of a cable, four miners fell down into a nearly four hundred meter deep shaft and died. The other group of protesters consisted of conservatives who want a prohibition on selling land to foreigners, something that was left out of the final draft for the new constitution. Before the meeting, members of the commission had had nine similar meetings in various parts of Georgia without significant incidents. 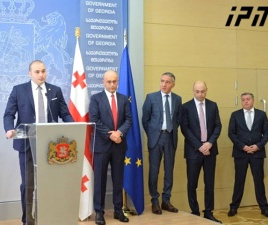 Irakli Kobakhidze, the speaker of parliament who also chairs the commission, said that public meetings will be held with different interest groups, including academics. Moreover, similar meetings will be held in regions too, he added.